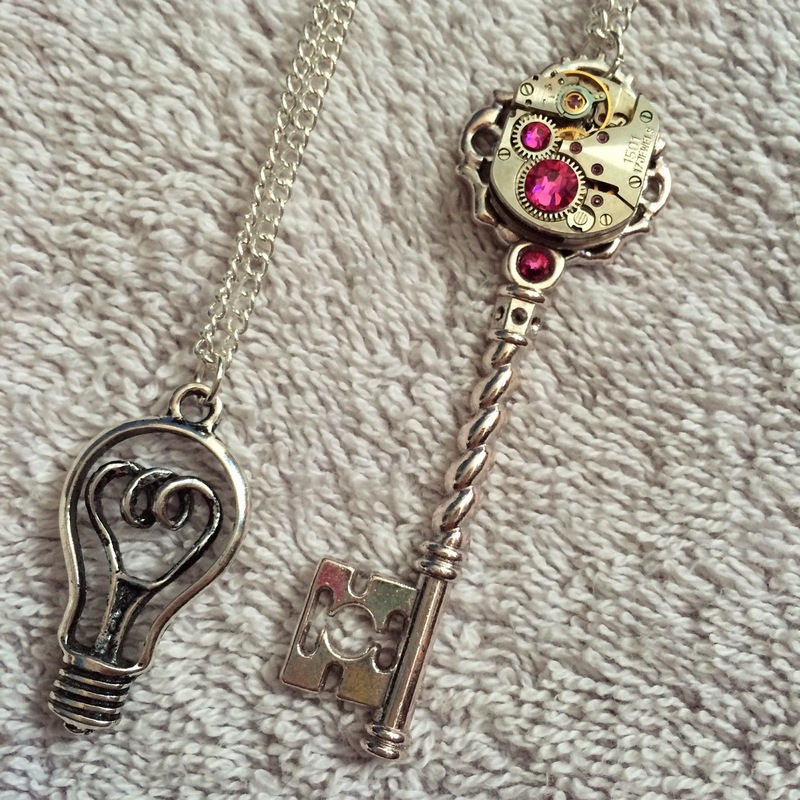 So I recently purchased these two beautiful necklaces from an independent store like my own. I having been eyeing up Kirsty’s pieces after finding her shop on instagram. Her work is super original, and I haven’t come across a similar shop creating pieces like those found on her store. I find many jewellery stores do have a similar range these days so it’s nice to come across a unique shop. As you can tell by my necklace and the store name Kirsty creates many pieces using clock parts, as well as making varied handmade jewellery. I ordered my necklaces last week and they arrived within a few days. I was quite shocked to see them arrive so swiftly, as I know how hard it is to run a handmade store. I was not disappointed at the quality of both pieces. 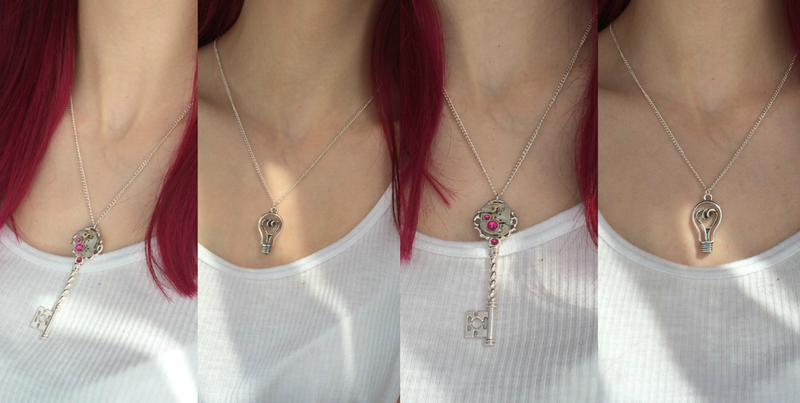 Both necklaces are placed on good quality silver chain (no allergic reactions phew) and the locking mechanism is super secure. Both necklaces have perfectly made pendants as you can see above. 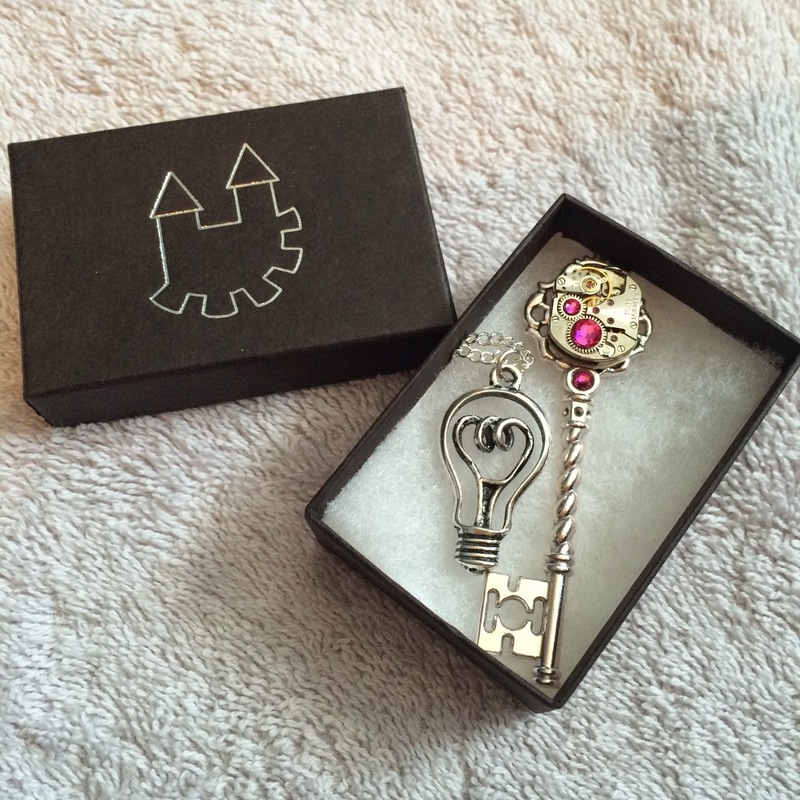 The key is securely connected to the clock mechanism as well as the crystals. I chose to go a bit girly with pink crystals but you can choose a range of colours. I was surprised at the size of the light bulb as I expected it to be much smaller but it’s a great size. Both necklaces fall below the collarbones as you can see. I love the length of them as I think they go perfect with bralets and such. I honestly have no complaints about myclockworkcastle. Both pieces are perfectly made and were delivered swiftly, in secure packaging. I know Kirsty is re-designing her business cards hence it missing from my package. Kirsty even took my order via email so I could use paypal. I would strongly suggest you checking out this store and purchasing if you have the chance.